THERE ARE GROWING fears that the banking inquiry will be unable to produce a final report as members bid to salvage the crisis-hit investigation into the financial crash. The 11-member Oireachtas committee met over the weekend and now appears likely to be working through Christmas in a bid to produce some form of final document. This follows the decision to discard a significant amount of a 750-page draft report produced by the inquiry’s investigators. The draft report was widely criticised by members who said it was poorly written, incoherent, had major gaps and required substantial rewriting. Hundreds of amendments to the report were tabled by frustrated members last week. TheJournal.ie has also learned that at least one member was preparing to quit the inquiry altogether on Saturday. 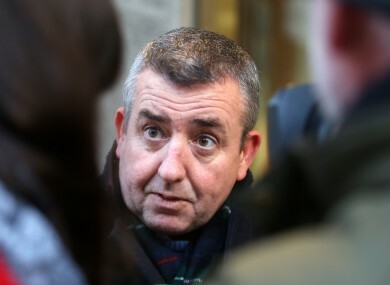 In addition, Socialist TD Joe Higgins has said it is unlikely he will support the final document. In a bid to salvage the inquiry a ‘finalisation team’ was put in place following Saturday’s meeting. This includes two committee members (Fine Gael TD Eoghan Murphy and Labour senator Susan O’Keeffe), two parliamentary assistants, a legal expert, and two members of the inquiry’s back-up staff. They have been tasked with coming up with a plans to restructure the report to take account of members’ views and elements of the first draft. I’d say it’s more likely there won’t be a report than there will be one. The main problem facing the committee is a race against time. It had originally been envisaged that a finalised report would be signed off by members by the end of this month and then distributed to those mentioned in it who would have 14 days to respond to its contents. The date for publication of the final report is 19 January but this could prove impossible even with the committee working right through Christmas. A source said the report would likely end up being “politically neutral” as there will be no time to debate it. The panel concluded public hearings in early September, having heard from 128 witnesses over 49 days’ of sittings. This included hearing evidence from former taoisigh Bertie Ahern and Brian Cowen – as well as several former and current senior bankers during hours of public sessions. Email “The banking inquiry is in a real mess right now ”. Feedback on “The banking inquiry is in a real mess right now ”.